Gift yourself the right to look, live and feel Gorgeous. Love yourself for who you are and celebrate your own kind of beautiful. We believe that once you find beauty in yourself, others too will see the beauty in you. Vaishali Nagar offer the list of beauty and wellness services to help customers look and feel their confident best. The team of these parlors is professional stylists, well trained and dedicated to consistently providing quality standards. Head over to Vaishalinagar.com and pamper yourself in style. Style ‘n’ Scissors and it’s trained staff is here to pamper all our guests. We understand that it is important to stay updated with latest fashion trends in hair & beauty care, therefore we provide our customers with the perfect cuts, colors, perms and other hair and beauty services. Our aim is to offer you highest quality customer services in a relaxing and soothing environment. Our team of stylist is highly trained and regularly attends classes with major styling educators to enhance their knowledge. This allows us to keep up with latest hair & beauty trends and techniques, as well as ensures the creativity and quality of our work. Visit us today and get the most ultra-modern and sophisticated look in town. At Style ‘N’ Scissors, we have a team of professional stylists who have completed their training from some of the most renowned institutes and academies from all across the world. We strive to provide all our guests with state-of-the-art services and ensure that you are happy and comfortable with it. Creativity and beauty industry goes hand in hand, and our team ensures that they come up with creative concepts and ideas to give you a refreshing and astonishing look. Spread over 5000 sqft of carpet area is the Largest Salon in Jaipur. Equipped with the best technology and manpower is having the most divine ambitious which takes you to another world to rejoice yourself within and outside. Latest massage chair for your comfort during services, Complimentary fully loaded mini-fridge and much more which makes your salon experience unforgettable. At CALISTA, we have the passion for hair-dressing and commitment to excellence. our stylists involve themselves in all aspects of fashion industry participating in the Photo Shoots, Fashion Shows as well as AWARD CEREMONIES & CELEBRITY STYLINGS. Clients from around the world visit CALISTA SALON for the exceptional salon experience and comfortable atmosphere. “We understand the need of our clients and bring out the hidden treasure inside and outside his/her personality. The story of Kulsum’s Kaya Kalp Herbals began almost 30 years back in Jaipur, the Pink City of India, where a young lady dreamt of bringing the ancient Hindu science of Ayurveda in the daily life of women to fulfill their beauty needs. To turn her dream into a reality, Mrs. Kulsum Sultana Nee Malik, founder of Kulsum’s Kaya Kalp Herbals, worked hard and expertized the benefits of different herbs and Ayurvedic remedies. Through her dedication and the support of experts in Ayurveda, she managed to recapture the secret of Ayurvedic remedies in the range of herbal products made available under the brand of ‘Kulsum’s Kaya Kalp Herbals’ today. With a staunch and unwavering belief in the benefits and efficacy of ancient Ayurvedic remedies, a clear focus on authenticity, and humility in every action, Mrs. Malik, and her team worked through a range of time-tested Ayurvedic concepts and brought them forth for the women of today in the form of eco-friendly herbal products.At the same time, Kulsum’s Kaya Kalp Herbals is also a strong proponent of sustainability, an idea that is reflected by the formulation and production processes of the entire range of herbal beauty care products we produce. Along with the range of herbal products we offer today, there is a wide chain of hygienic beauty salons by Kulsum’s Kayakalp offering various Ayurvedic beauty treatments. Shades is a care dedicated to medical excellence with international facilities. It Offers Makeup services, Hair Style & Treatment, Skin Treatment services, Body Massage Services. We only use branded quality of cosmetics. Our team of value controllers behaviors stringent tests of these items to dodge our customers from various sorts of skin hypersensitivities and symptoms. Our dependable excellence administrations incorporate makeup administrations, wedding administrations, sprucing up administrations, ayurvedic form back rubs, skin health management medication, healthy skin administrations, pre-bridal magnificence administrations, magnificence salon administrations, haircuts and hair coloring administrations. With the help of qualified and experienced hairdressers/beauticians, that has multi-lingual capability empower us to meet the variegated requests of our customers in the best ways. Sizzlin Scizzors is a Luxury Hair Salon & Spa which promises to redefine your hair styling and beauty experience and become your favorite style destination for all your hair care, skincare and beauty needs. Striding with what’s hot in the hair and styling world and clipping on trend with the best in the area of skincare and makeup, our extraordinary vision is what drives us to redefine the existing benchmarks. We provide a complete range of quality professional haircut, beauty treatments, Celebrity Makeover and bridal makeup services and are conveniently located in Vaishali Nagar, Jaipur, Rajasthan, India. 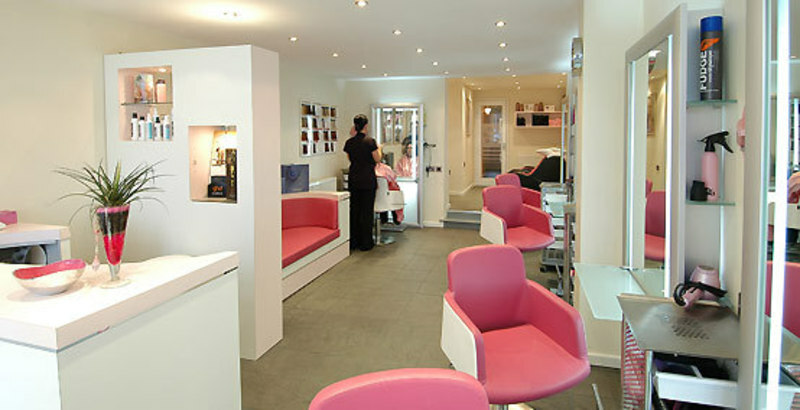 Smart ‘n’ Shiny salon and makeup studio is a one-stop-shop for the modern woman’s hair and beauty needs. We use the comprehensive approach in which the atmosphere, the quality of the service and diverse knowledge is integrated to provide you an entirely new experience. High-quality treatments that involve the use of the most famous brands in the field of beauty and care is just a small part of the beautiful experience which awaits you.We are here to make beautiful happen. Our extensive range of treatments and services are performed by friendly, qualified and highly-professional staff who undergo constant skills enhancement to make sure we always work with the latest treatments, products, and techniques.